I can't believe this,he will still rule him self in for contesting for presidency in the 2019 elections. Vice-President Yemi Osinbajo on Monday ruled himself out of contesting for the presidency in the 2019 elections. According to Reuters, Osinbajo said this when he was posed on his ambitions at the Financial Times Africa Summit in London. 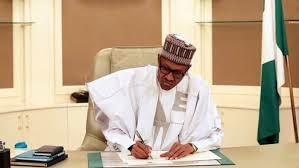 There is a heightened uncertainty over whether President Muhammadu Buhari plans to contest the next election. Buhari, 74, took power in 2015 but has been absent for much of this year due to illness. 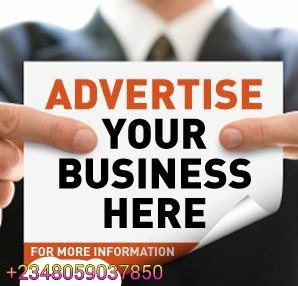 Osinbajo, a 60-year-old law professor, served as acting president during Buhari’s absences, succeeding in calming tensions in the oil-producing Delta region and pushing small steps to improve the business climate, including foreign currency reforms. Some business leaders say he could provide stability by running for president himself in Feb 2019. His Senior Special Assistant on Media and Publicity, Mr. Laolu Akande, had asked Nigerians to disregard the group, adding that Osinbajo had nothing to do with them. 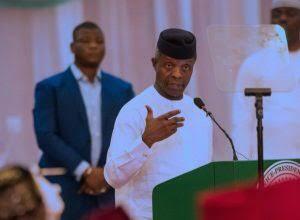 It featured the activities of the Vice-President on its website, while calling on members of the public to volunteer for Osinbajo. It, however, noted that it did not receive the endorsement of the Vice-President, noting that it had never met him.